Infiniti Poker Stringing Players Along Until the End of Time? 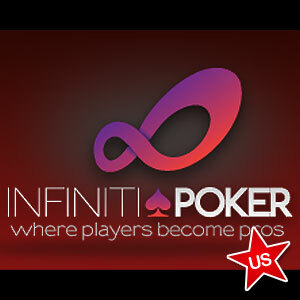 Home » Post Archive » Infiniti Poker Stringing Players Along Until the End of Time? Infiniti Poker has gone off-line once more after CEO Michael Hajduk promised players that their cashout requests would be processed “in the next few days”. Bitcoin poker site – Infiniti Poker – soft-launched in October 2013, but fell suddenly quiet in the middle of February when the site went off-line and all communication ceased through the site´s usual social media channels, including the Infiniti Poker thread on the 2+2 poker forum. Hajduk explained in the announcement that the delay in payments was attributable to offshore institutional bureaucracy and not – as had been widely speculated – connected to the collapse of the Mt Gox Bitcoin exchange company. He stated that there was no connection between Infiniti Poker and the failed exchange company and said that the reason for the site being down (at the time) was due to the company´s operational capital reserves being locked up in the bureaucracy. Then, last Wednesday, Infiniti Poker used a different social media channel (tumblr.com) to post a further announcement that all pending cashouts had been cancelled and that players should log back into their accounts to request a new withdrawal. A brief reappearance by Infiniti Poker´s “Social Media Director” JMCSwag on 2+2 directed players to the tumblr announcement, but there was no reason given why he (or she) had abandoned their usual channels of communication on Facebook or Twitter. From the messages posted on 2+2, it would appear that there was a brief window when the InfinitiPoker.com website was available once again and it was possible to log back into the poker client. Members of the forum posted that they had been able to make cashout requests, but had received no acknowledgements of their requests – and no money. By Monday this week, the site had closed again and silence returned to the Infiniti social media channels. Despite all the apologies, excuses and promises, nobody has been able to cashout from Infiniti Poker for more than a month and the lack of communication from the site does not bode well for its future. Most players are now of the opinion that, even if Infiniti Poker is resurrected, the faith in the site has been damaged to such an extent that it is never likely to be a viable option for players again. There are a growing number of options for players who wish to play poker with Bitcoin – a selection of which can be viewed on our page dedicated to Bitcoin poker sites.